Most people want to earn money by working on paid to click sites using their smartphones and tablets. But, it will be very tough to work in a PTC site using a cell phone, because if you click an ad the ad will open in a new tab and it will take more time to load(desktop version sites) on the mobile phone. Sometimes it might not work properly and you will not be paid for clicking. So, to work on a mobile phone the website or the paid to click smartphone app should be specially designed for mobile phone/tablet. 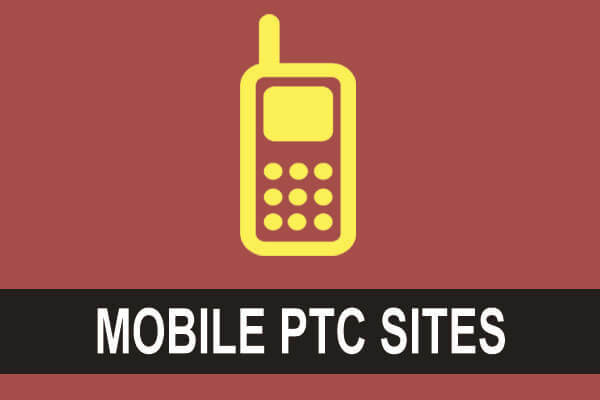 This article will help you to find the mobile PTC sites to work using the smartphone. While a few sites are developing mobile-friendly site and apps, Ojooo and Paidverts have already developed the mobile app to watch PTC ads on the mobile phone without any problem. Get full information about how to register, work and earn in mobile PTC site. Ojooo wad can be easily accessed in smartphone/touch phone/tablet like Google Android(app), Apple iPhone(app), Microsoft windows® phone(Microsoft™ stopped support for Windows® phone) and of course Kai OS powered featured phones. Check out – Free PTC software for PC. The mobile compatible PTC site we are going to discuss is the Ojooo wad. Previously, there were no mobile PTC app or mobile-optimized PTC site to earn money by watching PTC sites. Ojooo wad is completely mobile optimized site and launched Android and iPhone to earn money by watching PTC ads. If you’re already a member of Ojooo Wad, read this article to find more money making apps. 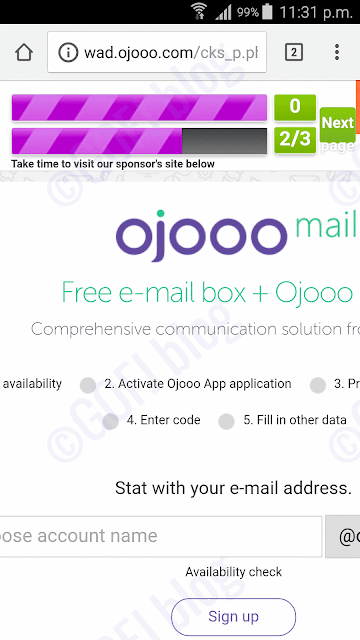 Using new Ojooo app, you don’t have to solve any captcha to complete an ad watch. With watch next advertisements, you can watch all the ads within 5 minutes. No need to go back to the ads page again to click the ads. Ojooo app saves a lot of time. You don’t have to log into your account daily, just open the app go to watch advertisements section and start watching ads. Ojooo is one of the most dominant online company that provides service in various fields like hosting, online advertising, free mobile phone calls, free emails etc. The Ojooo wad is the part of the Ojooo which is a leading PTC site in the world. Unlike other paid to click programs that pay just .1 cents for clicking ads, Ojooo wad pays up to 4 cents for clicking each ad. Also, Ojooo wad delivers above 100 paid ads per day to a member. Also, the ratio of earnings per day as an individual member in Ojooo wad is 10 times higher comparing to other paid to click sites. Apart from paid to click feature, the Ojooo wad avails features to their members to earn reliable money through offer walls. Continue to read to learn how to work on Ojooo wad using the smartphone which includes phone any OS like Android, IOS (iPhone) and Microsoft® windows™ phone. You might also like – Mobile captcha entry jobs. There are two ways to earn money on Ojooo wad they are explained one by one below. As I’ve said earlier Ojooo wad is the top paid to click site because they provide high-value ads every day comparing to any other paid to click site in this world. Once you log into your account scroll down to the dashboard. The dashboard will look similar to the picture given below. Just explore your account and the features of the sites. To start watching ads you must click, paid to click in the menu. After clicking it, you will be redirected to the ads page which will look similar to the image given below. There will be three different ads available on the Ojooo wad which include the traditional PTC ads, fixed ads, and the evolution ads. Make sure to view all the ads using the mobile phone so that you don’t miss any high paying PTC ads while you work using the mobile phone. To start earning money, click on the link. The ad will open a new page as shown above. Based on the pay, you must be on the mobile paid to click advertisement page for about 5 to 60 seconds. After the timer completes fully, you can click watch another advertisement or click return to the list of ads. You don’t have to solve any captcha as we do it on other PTC sites. 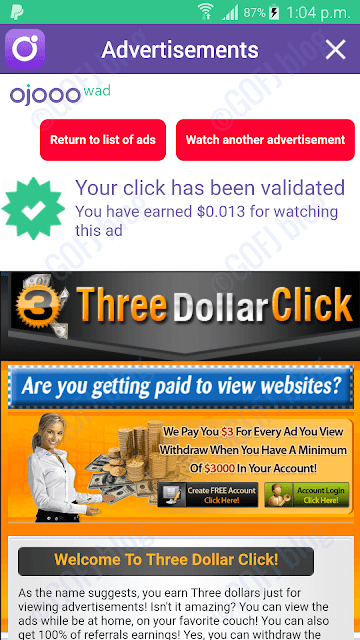 Other than standard paid to click ads, the evolution ads on the Ojooo wad helps the members to earn up to $0.03 by watching 3 ads in a single click. The Ojooo wad is the only PTC site that will have 100 to 200 PTC ads to click. So, members who struggle to make direct refs can work on the Ojooo wad to make money as an individual member. Earn Bitcoin – Free Bitcoin faucets. 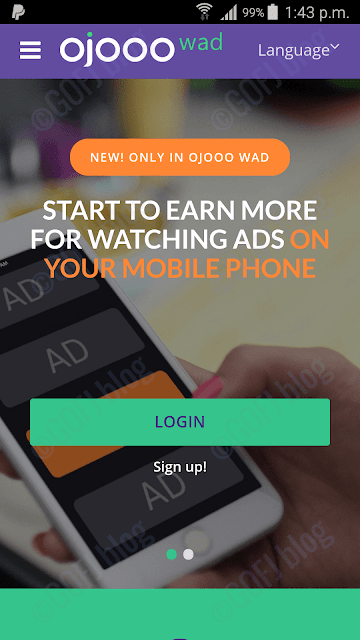 Apart from the PTC ads, Ojooo wad has several other earning options such as paid videos and offers. Members can use those to generate higher revenue. To earn money by watching videos on the mobile PTC site, you must click on paid to click > video in the menu bar. Now you will be redirected to the page that contains video ads. The Ojooo wad pays up to $0.04 for watching the video ads. Click on the link and again click on the given shape to start watching the video. After watching the video for a certain period of time, your account will be credited. Ojooo is not only one of the best mobile PTC sites, but also a Get paid to site to earn money doing different offers and tasks. On Ojooo wad there are few OfferWall apps available which have many high paying offers such as the paid to read emails, online paid surveys, Figure-eight Microtasks, paid app downloads, play mobile games for money etc. After watching the mobile PTC ads, complete the offers and watch paid videos to make more money. 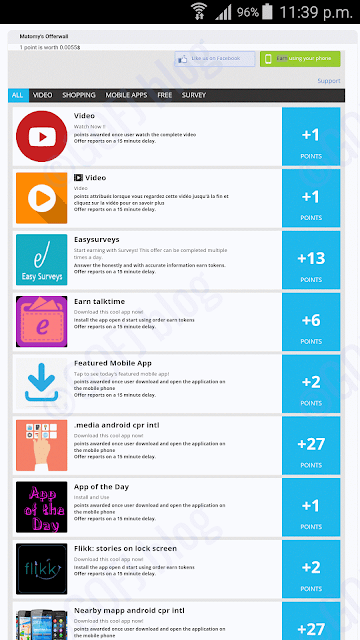 People also read – Earn free mobile recharges. The Ojooo wad affiliate program is one of the best in the PTC industry. They pay up to 100% affiliate commission to their users. Ojooo wad is the only PTC site that pays up to $0.035 per referral click. By referring a few members, you can earn more money on Ojooo wad using the mobile phone. Previously the Ojooo wad used to pay the members via Paypal, Payza and Okpay payment processors. Now they are restricted to Bitcoin wallet and Bank wire transfer. The minimum payout amount is just $2. So, you can withdraw the balance as soon as you earn $2. To watch advertisements using the Ojooo app first you must register on the mobile PTC site by clicking the link given below. Then go to your account to find the link to download Ojooo app. In the Ojooo app, you have to log in using your account credentials to start watching ads. Click here to Register – Ojooo Mobile. The Paidverts is one of the unique paid to click sites in the world which boasts that their users can make dollars through the click instead of cents which you can read it on Paidverts review. Paidverts will notify the users once every 20 minutes whenever there are new ads and opportunities available to earn money. Paidverts ads can generate higher profit if it is handled with care. Apart from mobile PTC ads and ad packs, Paidverts is home to tons of offers to earn extra money. Click here to Register – Paidverts. Learn more – if there is Clixsense Mobile app.